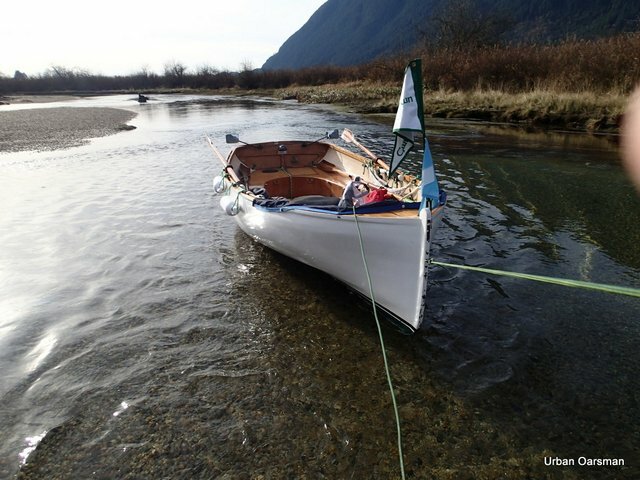 Rowing Gwragedd Annwn in the Lower Mainland around Vancouver British Columbia and Beyond. 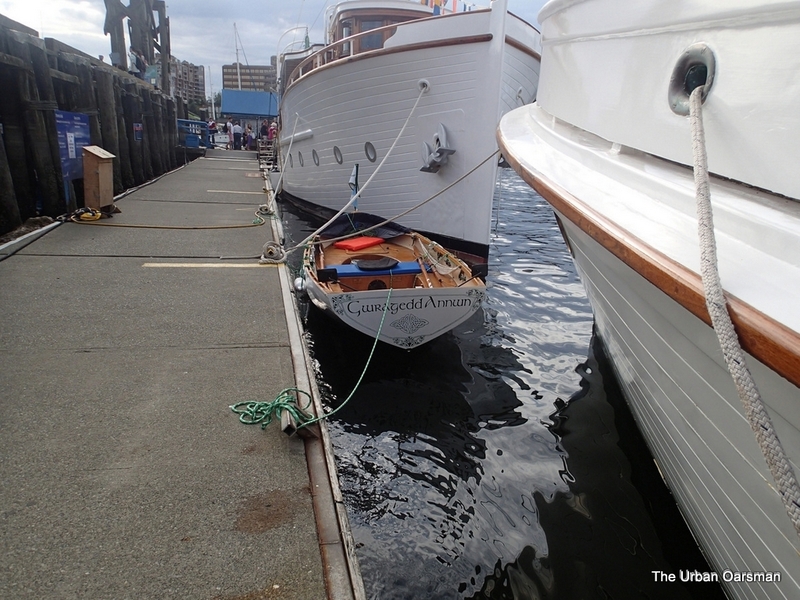 Gwragedd Annwn at the 2013 Vancouver Wooden Boat Festival. 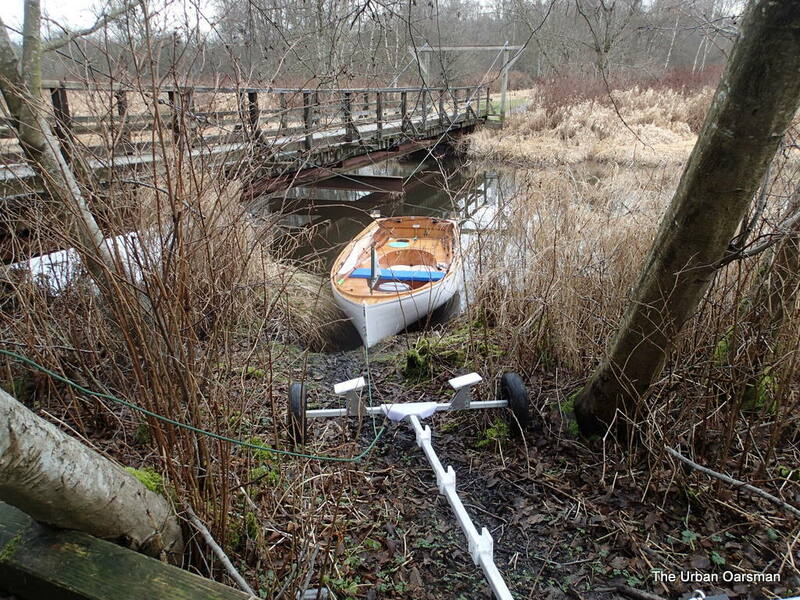 Gwragedd Annwn at the Pitt Meadows Marina dock. 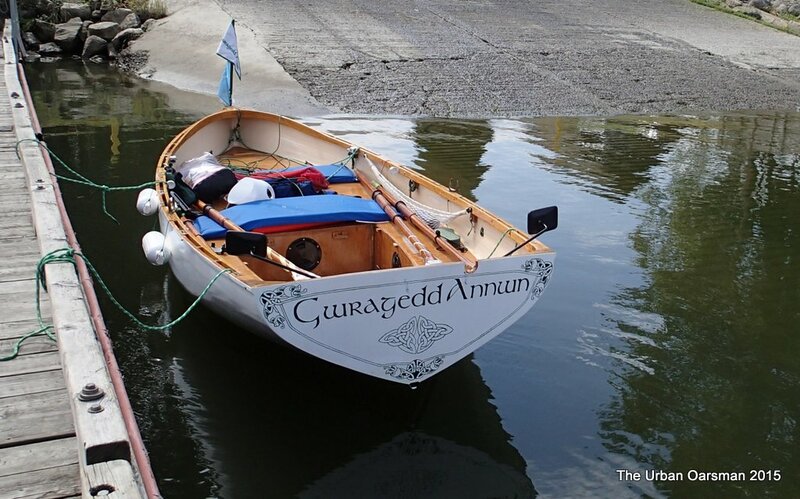 Gwragedd Annwn rowing West into the sunset. 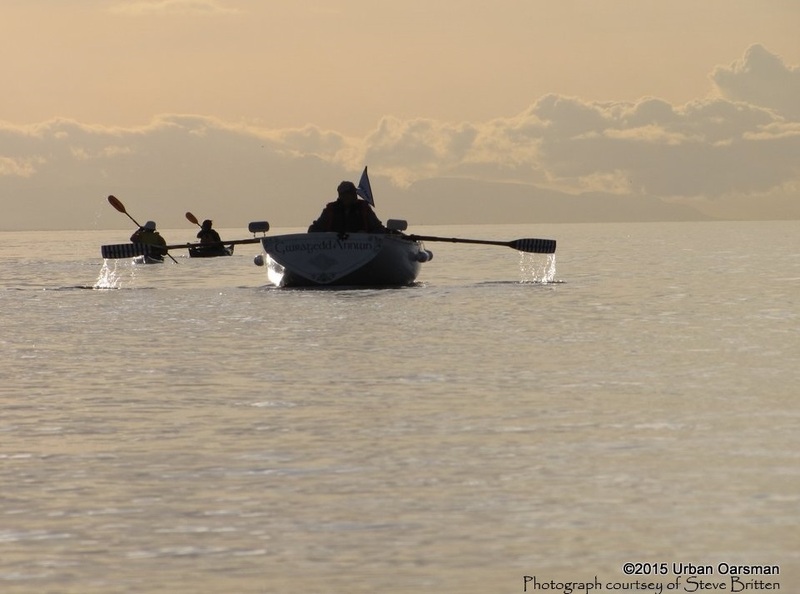 The Spring Equinox Row. 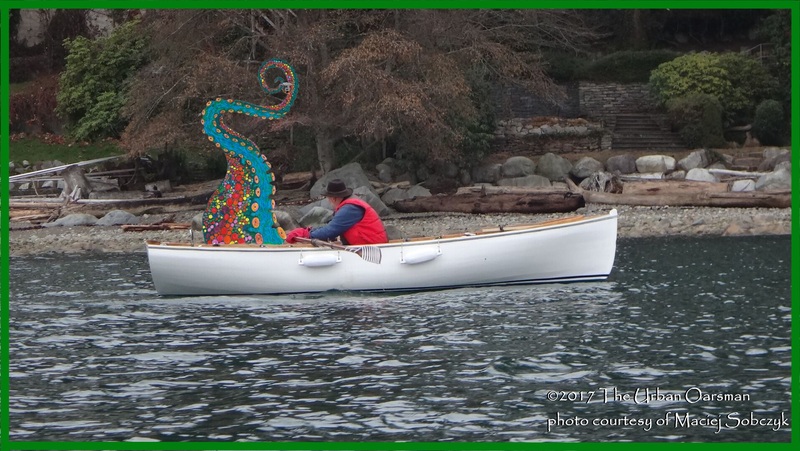 The Urban Oarsman rows back to the Hollyburn Sailing Club after having a hot mulled wine with a friend. 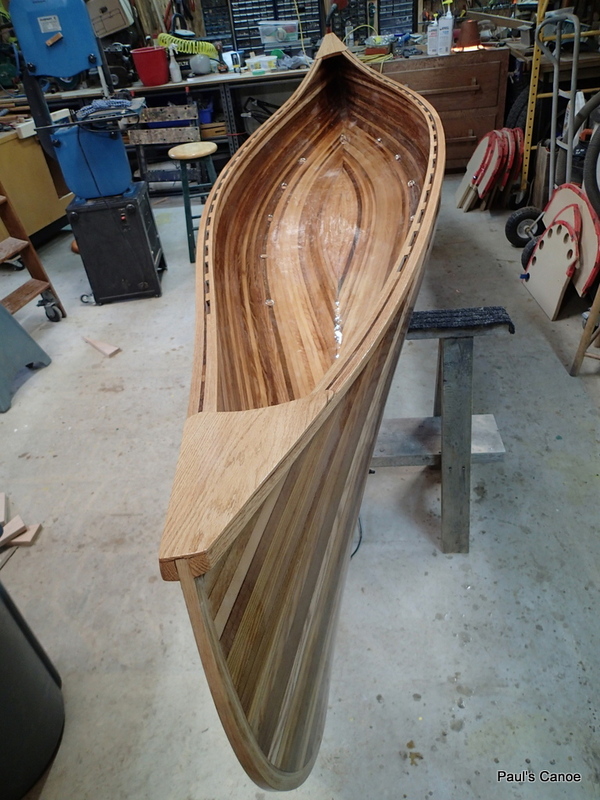 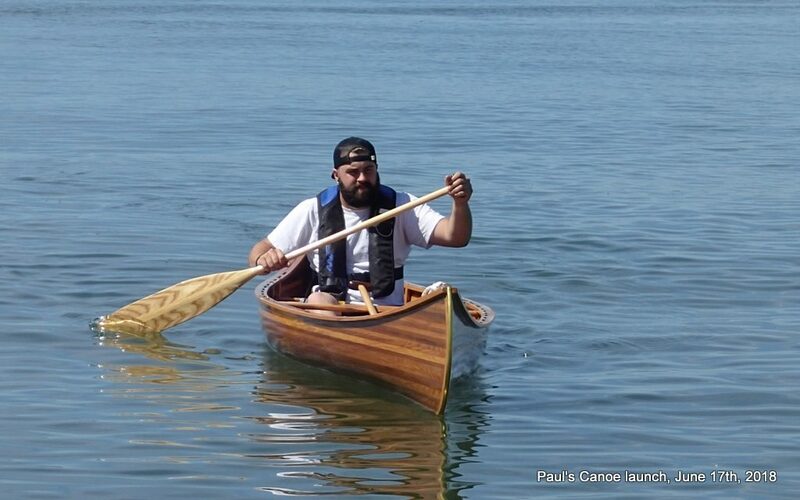 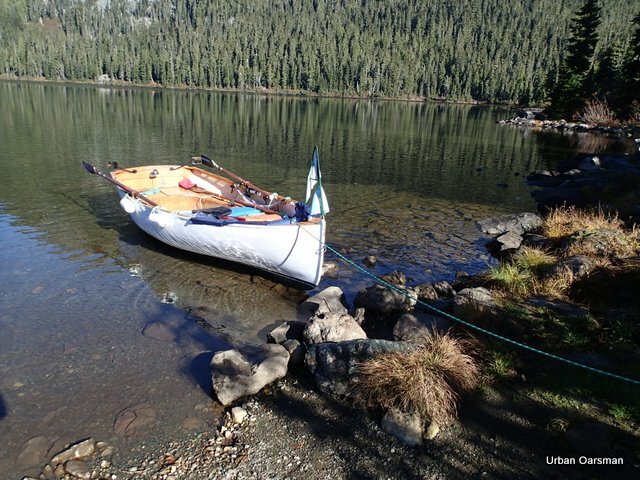 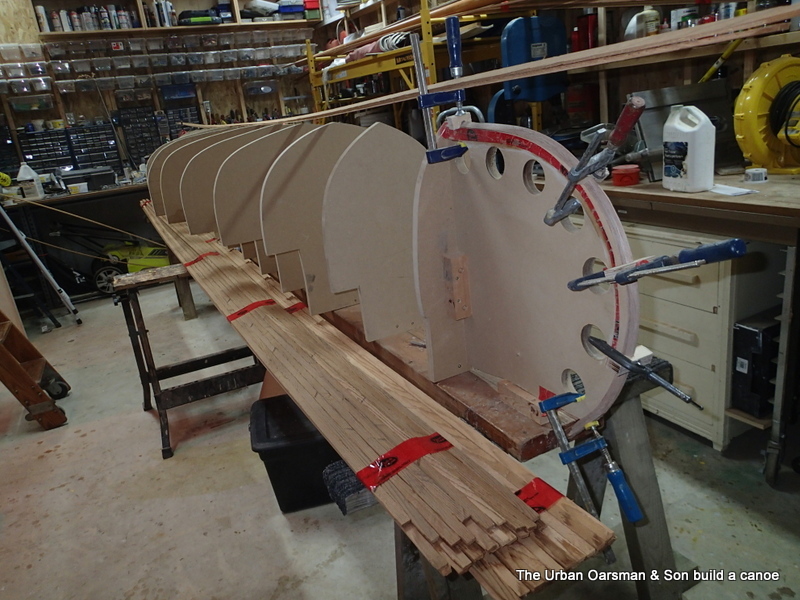 The Urban Oarsman and Son build a Canoe. 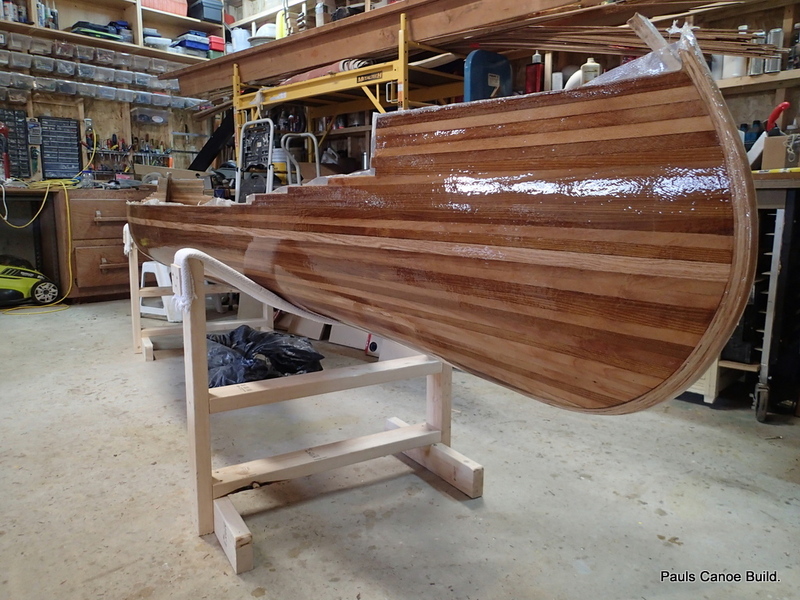 Gwragedd Annwn with her new birdsmouth hollow mast, her spar, dipping lug sail, leeboards and new rudder. 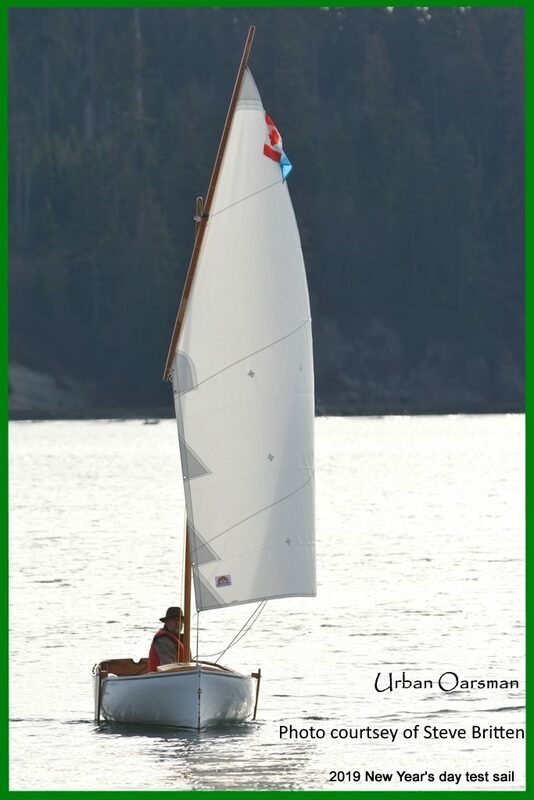 Gwragedd Annwn at the 2019 Hollyburn Sailing Club New Year’s day sail.